All signs are pointing toward a record blizzard hitting the D.C. Metro area this weekend, and the snowpocalypse chaos is already setting in. To make the impending meteorological blockbuster even more ominous, Jonas is going to coincide with a full moon. Quick, sacrifice a goat! Now, the Moon gets blamed for a lot of things that it really has nothing to do with (births, werewolves, murderous rages), and we’re not trying to disparage Earth’s nearest neighbor. But one Earthly matter the Moon does influence is the tides. As Gizmodo’s Ria Misra pointed out yesterday, a full moon means higher coastal tides. Pair that with hurricane-level wind speeds this weekend, and we could be in for some serious flooding. The tides are caused by the combined gravitational tug of the Sun and the Moon on the Earth. Full moons occur when the Sun, Moon and Earth are perfectly aligned, with the Earth in between. When this happens, it causes a strong gravitational tug-of-war and the most extreme tides of the month—the highest highs and the lowest lows. High tide during a full moon is typically one to two feet higher than it is during other parts of the lunar cycle. Normally, the monthly ebb and flow of the tides does us no harm, but when a full moon happens to coincide with blustery conditions, things can get a bit messy. We saw an extreme example of this last September, when climactic and astronomical forces combined to bring us a supermoon and a tropical storm (Hurricane Joaquin) at the same time. 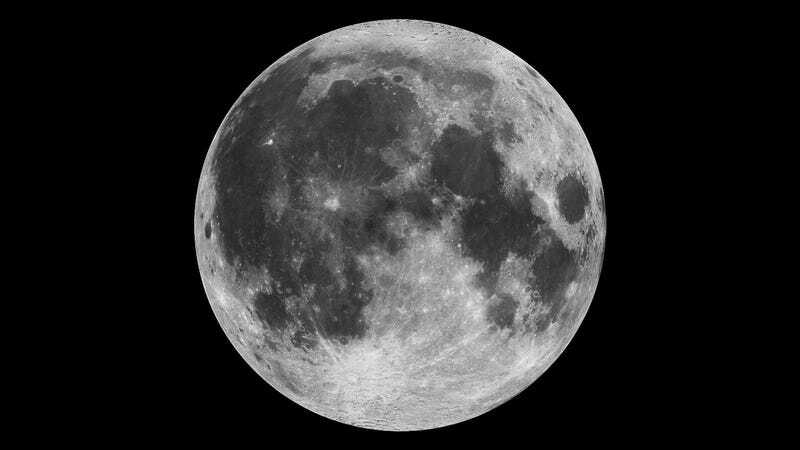 (A supermoon occurs when the Moon is full at perigee, its closest approach to the Earth.) The result was some pretty epic flooding on both sides of the Atlantic. This time around, we’ve only got a regular full moon to contend with, but winter storm Jonas is promising fierce winds, with top speeds up to 40 to 50 miles per hour along the Delaware and Jersey shores. According to Bob Henson, a meteorologist and blogger with Weather Underground, we saw a similar scenario play out over a decade ago, when the President’s Day II storm struck the northeast. “This is not too different from the 2003 storm, which also happened during a full moon,” Henson said, noting that the storms had slightly different tracks but were of similar magnitude. The 2003 storm caused between 8 and 9 feet of flooding along the Jersey shore—which lines up very closely with the National Weather Service predictions for this weekend. The Moon will rise around 5 pm Saturday and will be full by 8:46 pm. If you have any ceremonial rituals to keep the Moon from messing with your life, now would be a good time to do them.